Organized BMX racing began in 1976 in Millville, New Jersey. The East Coast Is The Right Coast is the story of one of the kids to come out of the first generation of BMX racers in New Jersey that eventually went on to be a AA Pro in the ABA and A Pro in the NBL, and this was all 26 years ago. The story of Dave Dechert is one many BMX racers even today can relate to, starting out on a regular old bike, learning about the sport, then upgrading, training and striving for new goals all the time. This trailer was sort of meant as a way to show what a lot of us were going through at the time, in the mid to late 1970’s BMX was new, (the guys going to Millville were the FIRST to be doing it in NJ) so new in fact that even though in their minds the sport was already established, it was in reality a brand new idea started by kids jumping their bikes in vacant lots and having a good time. I hope everyone digs the little teaser preview and I look forward to showing Dave the complete vid in October. 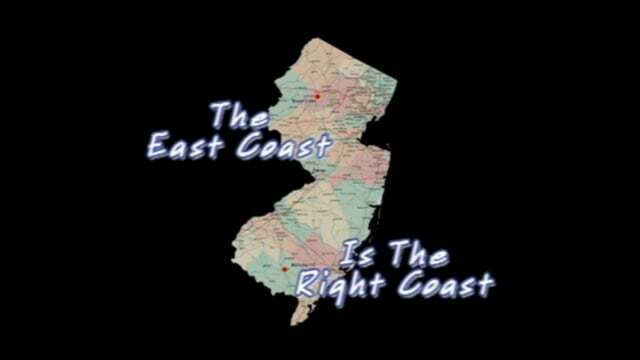 The trailer for “The East Coast Is The Right Coast” The Dave Dechert Story.